Flor de Caña Centenario Gold 18 Years. Buy rhum produced in Nicaragua. The Compañía Licorera de Nicaragua was founded in 1937 when the demand for aged rums increased. It is now available in over 40 countries and offers a wide range of rums aged for 4, 5, 7, 12, 15 and 18 years in white oak barrels for the pickiest of palates. Flor de Caña Centenario Gold comes with 100 years of tradition and represents the brand's impeccable tradition. Thanks to its production process, fine ingredients, and ageing process, we get this exceptionally smooth rum. It has been aged in natural wood barrels, which provides the rum with some unique characteristics. It is one of the most famous wines in the world, with more than 70 international medals. Sight An intense amber colour. Nose Smooth aromas of wood. Taste Complex. 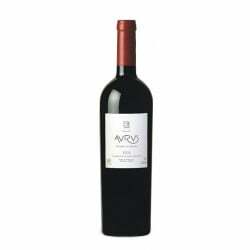 Lavish attack followed by a thicker palate, dry and full-bodied, with dark chocolate, spices and notes. Long finish with burnt wood, vanilla and nutty nuances. Rhum. Volume: 70 cl. Distillery: Flor de Caña. Production area: Nicaragua.